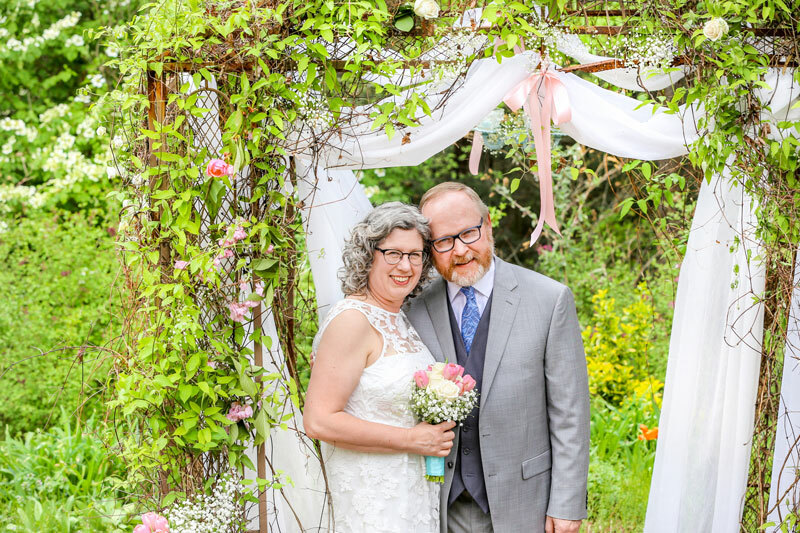 An intimate ceremony inside Rockhaven B&B or outdoors in our flower-filled garden may be the ideal option if you are looking for a beautiful out-of-the-way spot to tie the knot or renew your vows with the love of your life. You can experience a small, uniquely personal ceremony here that fits your budget. Two-hour indoor and/or outdoor venue rental (including set-up and clean-up). In-room breakfast both mornings of your stay. Access to a second changing room, if needed, for wedding party preparation in addition to your guest suite. A small bouquet and boutonniere of our choice. A small wedding cake of our choice. Partyware (plates, napkins, utensils, etc.) of our choice. We will be on site in most circumstances. If we are unable to be on site, we will be available by mobile phone/text. Depending on availability, your guests may also rent guest rooms for overnight stays. See Rooms & Rates. Your ceremony must be reserved with us at least 60 days in advance. Subject to availability. 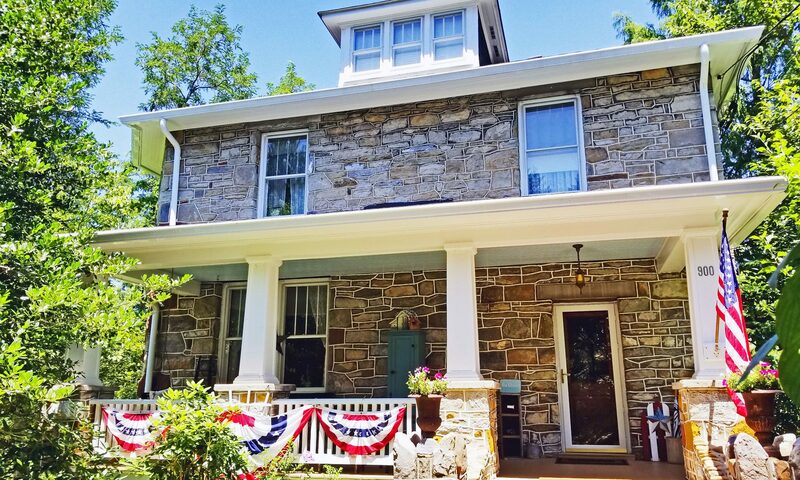 Contact Lynn at info@rockhavenbnb.com or (304) 525-8235 to schedule a visit. 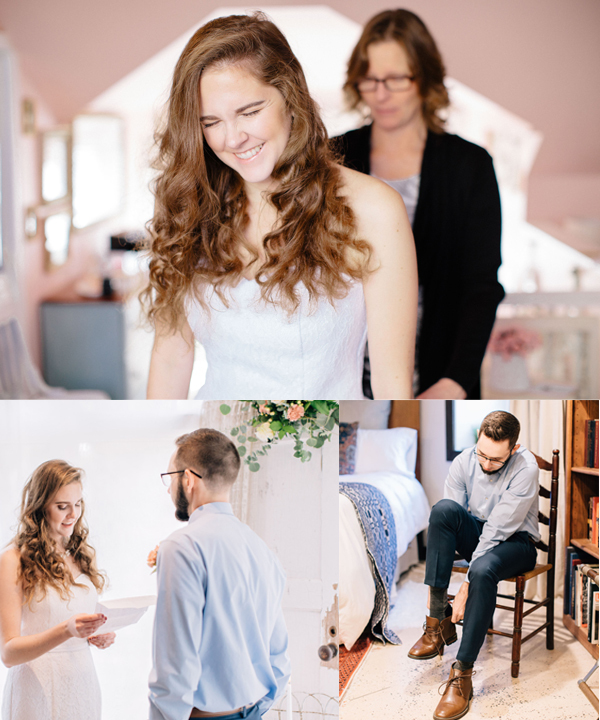 Amanda and Andrew were married here in November 2018 surrounded by their closest family members. Photos by Kristyn Lapp. We can currently accommodate at small wedding of up to 15 guests either indoors or outdoors. We require two-night bookings in both of our spacious guest suites at Rockhaven B&B for Friday, Saturday or Sunday weddings. (Monday-Thursday weddings require only a one-night booking of both suites at a reduced price.) In-room breakfast is included for both mornings of your stay. In addition, we will quote a separate charge for use of the venue and clean-up, based on number of guests, length of rental, etc. We offer packages for use of our home and/or gardens for your ceremony only as well as for your ceremony plus reception. We can offer access to a third guest room, if needed, for wedding party preparation in addition to your two guest suites. If using the indoor space, you can work with the vintage decor already here or bring your own additional decor and flowers. If you hold your reception here, you must supply your own (or catered) food and drink. Our kitchen can be used for serving and washing up only. We don’t have commercial equipment for cooling, cooking or warming foods. We can recommend vendors for coordinating, catering, cake, flowers and photography. We will be on site in most circumstances during your event. If we are unable to be on site, we will be available by mobile phone/text. Contact Lynn at info@rockhavenbnb.com or (304) 525-8235 to schedule a visit and discuss pricing.